Owning your own home isn’t all sunshine and roses. There are many responsibilities to being a homeowner. Protecting your investment is perhaps the most important one of all. Performing maintenance on your roof, be it a repair or replacement, comes in at the top of the list of essential maintenance tasks. Without a solid roof, your house isn’t much of a home at all. Safeguard your investment by thoroughly vetting your roofing contractor from the start. Doing so will ensure that your home remains a joy to live in for years to come. Let’s jump right in our six expert tips for choosing the right roofing contractor. The time you invest in choosing the right roofing contractor will pay off ten-fold in craftsmanship and professionalism. While it might take a little more time upfront, you’ll be glad you did your homework when the project is finished. So, what’s on your to-do list before hiring a contractor? Ask neighbors, family and friends for recommendations. Check the Better Business Bureau for scores and reviews. Google those recommendations and study any online comments written by clients. Get information about your area’s local codes for roofers. Once you receive recommendations and have narrowed down your list, invite candidates on-site. During this time, the contractors will take a look at your roof and analyze the issue. Expect them to discuss possible materials and project details. As you’re meeting with the contractor, pay attention for a professional, friendly demeanor and a broad knowledge of roofing. Ask for references and contact them as soon as possible. A reputable contractor should have no problem showing you examples of his work. Don’t shy away from asking to see a portfolio or even checking out a project in person. With the permission of your potential contractor, head out to a local site to see how the crew works. Do they demonstrate professionalism and efficiency? Make sure your contractor and the crew have a comprehensive understanding of your community, including any weather patterns and local codes. Safety comes first. An accident during the roofing process can leave you responsible and broke if you’re not careful. Always work with licensed contractors and ask for a copy of the insurance certificate. You’ll also want a letter from the insurance carrier. An unlicensed contractor puts you at risk for liability and major headaches. Coverage should include both comprehensive liability insurance and workers’ compensation insurance. Be sure to ask about any warranties covered by the contractor or manufacturer. Ideally, your contractor will offer both a workmanship warranty and a manufacturer’s warranty. As all homeowners know, repairs often take much longer than planned. While things may come up during roofing repair or replacement, there are ways to speed up the process. Request a timeline with a firm start date and finish date. Get information on how to prepare before the roofers arrive. A professional contractor will be able to provide a detailed schedule of what will happen and when. #6. Put It In Writing! Once you’ve chosen your contractor and studied the estimate, request a proposal. This document should include details about the process, products and material choices as well as the payment terms. Always have a signed copy of the contract on file before beginning. Additionally, for your own benefit, you should try to avoid making cash payments. If you’re looking to repair or replace your roof, Juneau Odenwald Roofing is your local expert with many years of experience and reliable workmanship. We have happy customers from Texas to Mississippi, and plenty more between. Ask your friends & neighbors, and check out our gallery for examples of our work; you’re sure to recognize a few! 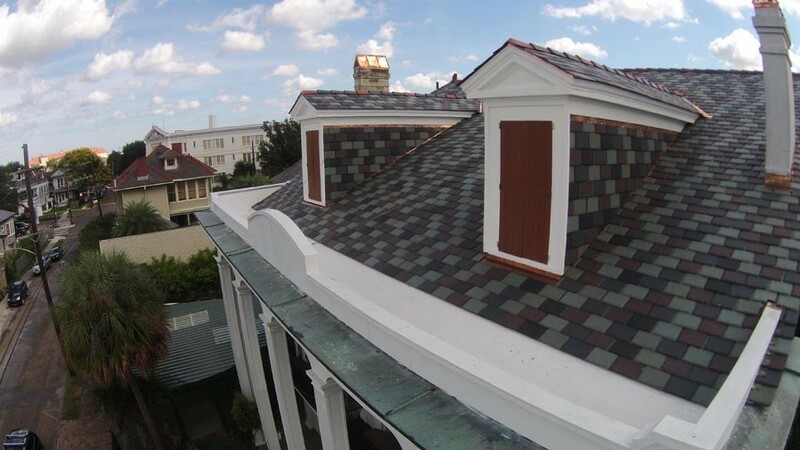 For a free estimate, contact us at (504) 733-0331.